People living near Plymouth whether it is in the city or in Plymouth Township know just how nice it is. The downtown has Kellogg Park where concerts in the park play all summer long. That and the Ice the ice festival in the winter provide continuous year-round outside entertainment. Nearly all the shops and restaurants are within walking distance and hundreds of people walk there on a daily basis. Then there is the Penn Theater that opened in 1941, still running a single screen with a classic atmosphere and even first run movies! Are you looking for movers near Plymouth Michigan? Honestly, who’s to say when it’s the right time to move? What we can say, is that you should take the time to make sure you are prepared. You can find a lot of great information by reading our movers blog and you can get some great tips before you move. 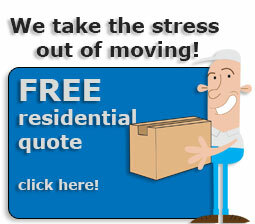 When you are ready, just give us a call or request your FREE QUOTE from the best moving company near Plymouth. If you don’t believe us, then please listen to what our our customers say! Our moving rates compare favorably with other moving companies in Plymouth and everywhere else in the state of Michigan.